Activists lifted a modern sculpture depicting a pregnant African-American “Lady Liberty” onto the pedestal where a monument to Confederate Generals Robert E. Lee and Stonewall Jackson was removed overnight. 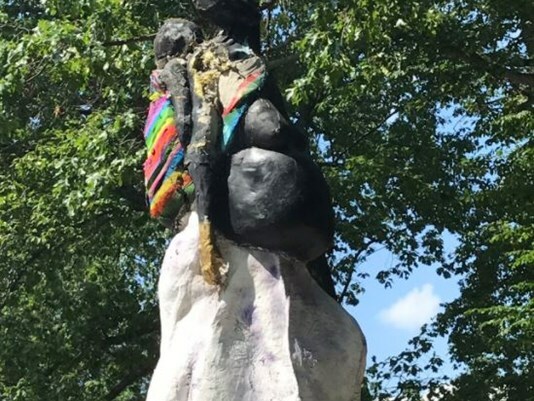 The new statue is not sanctioned by the City of Baltimore which owns the site, but there was no immediate action to remove it by police or city officials. In the Age of the Welfare State, victory is achieved not with cannons and courage, but with pregnant bellies and dependency. On tips from Steve A and Torcer. Cross-posted at Moonbattery.